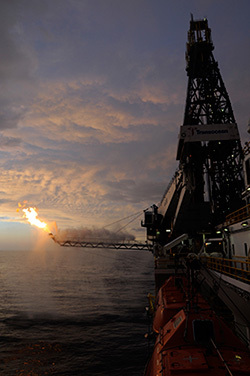 Gas from the damaged Deepwater Horizon wellhead is burned by the drillship Discoverer Enterprise in a process known as flaring, in the Gulf of Mexico. The Alabama State Bar recently determined that the handling and filing of BP claims by accountants, accounting firms, and persons holding themselves out as adjustors, public adjustors, and consultants to be the unlicensed practice of law. While the Florida Bar has not issued a formal opinion on the matter, we believe the Bar may take the same position when petitioned. If you or someone you know used a non-lawyer to file a BP claim, your may be entitled to the return of all the proceeds paid to the non-lawyer. Our firm is currently investigating these cases and would like the opportunity to speak with anyone who used a non-lawyer to file their BP claim.